Home / For Patients / About Kidney Disease / What is Chronic Kidney Disease? Chronic kidney disease, widely known as CKD, happens when your kidneys lose function over time. Millions of Americans have it and millions more are at risk of getting it. Although chronic kidney disease is irreversible, there are steps you can take to slow or stop the disease from progressing. How does kidney disease work? As kidney disease progresses, your kidneys lose their ability to function properly. They can’t filter your blood, make red blood cells, regulate your blood pressure or keep your bones healthy as they normally would. When your kidney function drops to a certain level, dialysis or a kidney transplant is necessary. What many people don’t realize is you can feel perfectly healthy and still have kidney disease. A ‘silent’ disease, it can take some time for symptoms of chronic kidney disease to appear. It’s important to know if there’s a history of the disease in your family or if you fall into any of the groups associated with a higher risk of the disease. Kidney disease is the 9th leading cause of death in the U.S. The two main causes of chronic kidney disease are diabetes and high blood pressure. Both conditions place added pressure on, and ultimately damage to, the kidneys. Other causes of CKD include inherited diseases, inflammatory diseases and infections. To understand more about how kidney disease develops, it can be useful to know how healthy kidneys function. Whether it’s filtering blood or balancing minerals, a kidney is one hard-working organ. There are five stages of kidney disease. Stage one indicates a small amount of kidney damage and stage five occurs when your kidneys have failed. This is called end-stage renal disease. The stage you fall into is determined by how much kidney function you still have. To estimate your kidney function, you’ll undergo several simple tests to find out your Glomerular Filtration Rate, or GFR. GFR is a calculation your doctor will use to check if you have chronic kidney disease and to determine what stage of the disease you have. By looking at your gender, age, weight and the results of a simple blood test, your doctor will be able to tell you your GFR. 1 >90 Normal GFR. Other signs of kidney injury, such as blood or protein in the urine, may still exist and indicate a slight loss of kidney function. 2 60-89 Mild GFR decrease from the normal rate. This could be normal for your age or indicate early kidney disease. 3 30-59 Kidney function is low. See a nephrologist to learn about treatments you can do now and lifestyle changes you can make to prevent further damage. 4 15-29 Severe kidney disease. See a nephrologist – a kidney doctor – regularly to learn how to protect your remaining kidney function, prepare for dialysis or find out more about a kidney transplant. 5 0-14 End-stage renal disease. Dialysis or kidney transplant is necessary to prolong life. It’s natural to feel anxious if you know you have an increased risk of kidney disease or if you’ve recently been diagnosed. However, there are steps you can take now to maintain what kidney function you still have. Some simple lifestyle changes, such as following a low-salt diet or increasing your exercise regime, can help slow or even stop more damage from occurring. With any health uncertainty, it’s important to get a diagnosis as early as you can. Getting diagnosed with chronic kidney disease early in its progression will increase the chance of saving some kidney function. If kidney disease runs in your family, you fall into a high-risk group, or you’re starting to show symptoms of the disease, contact your doctor right away. Your doctor will calculate your GFR and refer you to a kidney specialist, called a nephrologist, if need be. I was recently diagnosed with chronic kidney disease. Is there anything I can do to slow it down? Yes! In short, exercise more and follow a low-salt, kidney-friendly diet. This doesn’t mean you need to start running marathons. Talk to your doctor about ways to increase your daily exercise – park further away from stores, lift small weights while you watch TV or stretch lightly each morning. Learn more exercise tips, and make sure to work with your doctor to determine exercises that work for your specific abilities. If you’ve been diagnosed with stage 5 kidney disease, or kidney failure, you must start dialysis or undergo a kidney transplant to stay alive. Know your options and be prepared – find out how dialysis works and learn more about kidney transplant. Does chronic kidney disease lead to any other complications or diseases? Yes. People with chronic kidney disease have an increased risk of cardiovascular (heart) problems and anemia (low iron). CKD also affects your body’s mineral levels. For example, your potassium level may get too high or calcium might build up in your body. Your dietitian will work with you to figure out what foods you need to eat to keep these mineral levels in balance. I just found out I have chronic kidney disease. What support will I have? Although getting diagnosed with chronic kidney disease is serious, you are not alone. At Puget Sound Kidney Centers, your care team consists of your nephrologist, a dietitian and a social worker. Learn more about the members of your care team and how each will help you live well with kidney disease. 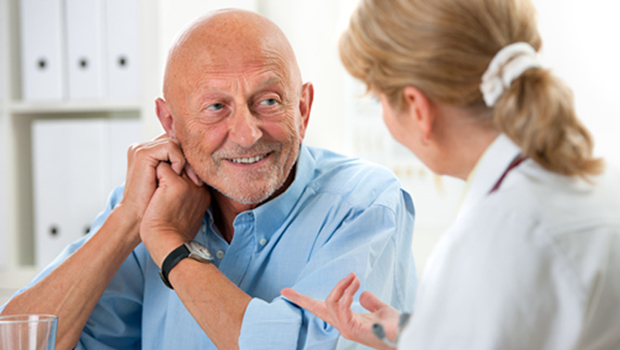 How can I learn more about chronic kidney disease and my treatment options? Attend one of our free classes to learn more about CKD, treatments for CKD and what you can do now to feel better.